Marine Mom necklace comes with any Military Branch charm, MOM charm and a USA Heart Flag charm. The black Crystal Dangle is an add-on and optional. This is a beautiful .925 sterling silver Mom charm, heart flag and Marines Mom charm necklace. 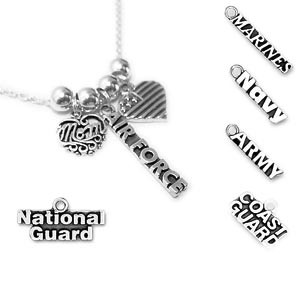 You may substitude a sterling silver Air Force, Navy, Army, Coast Guard or National Guard charm for the Marine Charm. I also have a Military WIFE charm and Grandma charm options. The necklace is a sterling silver and you choose the length. An 18 inch snake chain is shown. 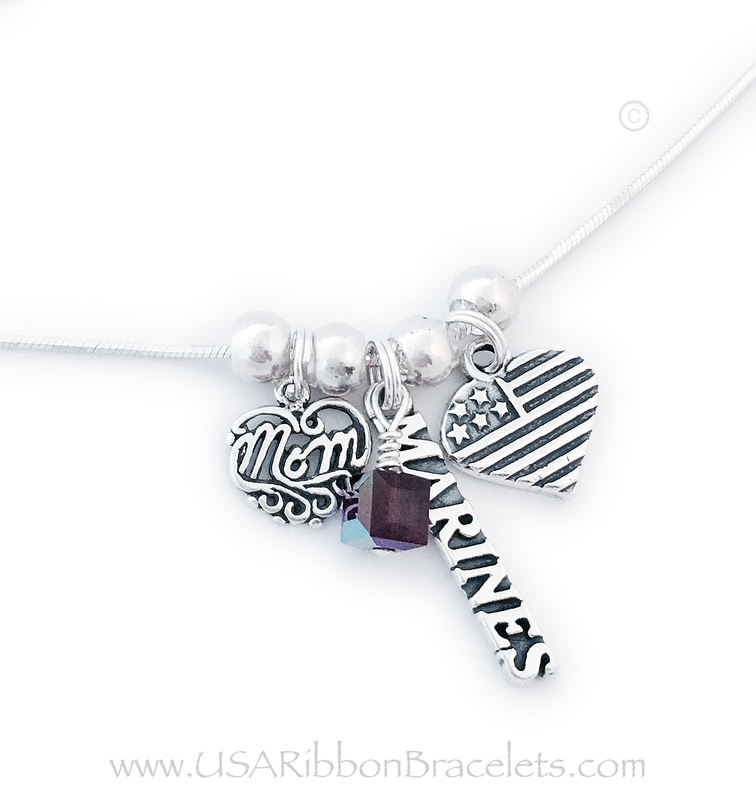 Marines Mom necklace comes with a Marines charm, a MOM charm and a USA Heart Flag charm. 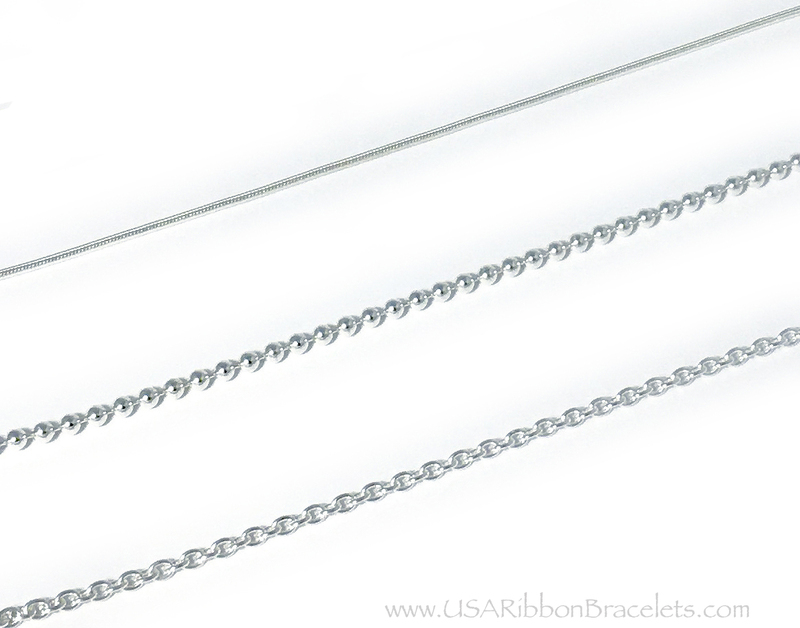 Shown on a 18" - .925 sterling silver snake chain. The Crystal Dangle is an add-on. 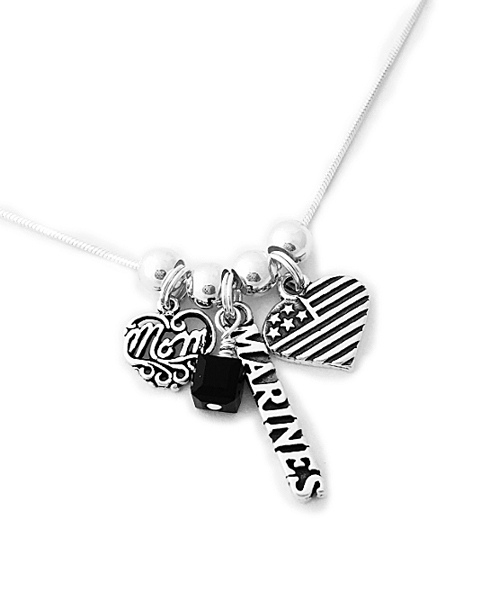 Marines Mom necklace comes with Marines charm, a MOM charm and a USA Heart Flag charm. Shown on a 18" - .925 sterling silver snake chain. The Crystal Dangle is an add-on.